The easiest, safest and effective way to improve your credit score is legally but the legal advice or tips are often not easy to find. This app is a complete guide of all the tips and legal strategies for improving your credit score. 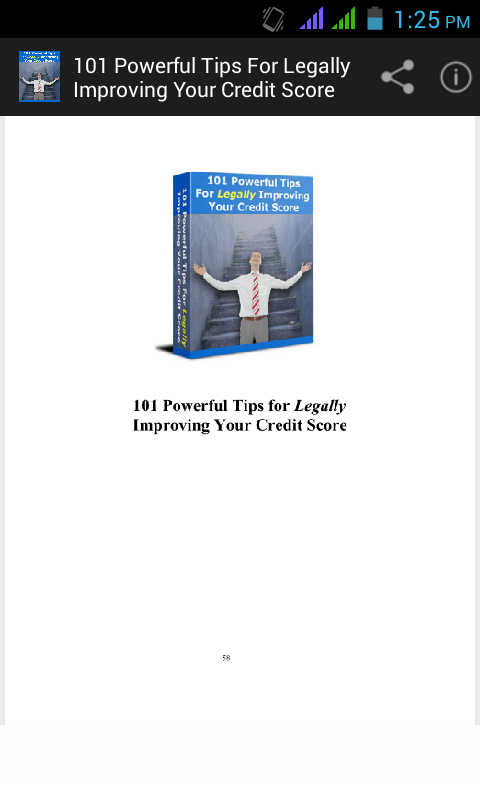 We have made this user-friendly app available to users for free at PlatStore and AmazonAppStore with top 101 powerful tips for legally improving your credit score listed by the top legal experts in the industry. 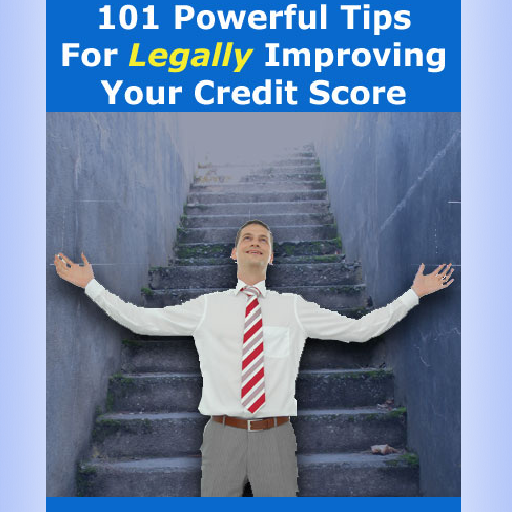 Usually the first and the foremost step legal advisors suggest is to confirm if the credit report information is correct and if comes to be correct, start paying your bills online and understand how your credit score is determined. But wait! This is just not enough of the information you need, to successfully get an average credit score. 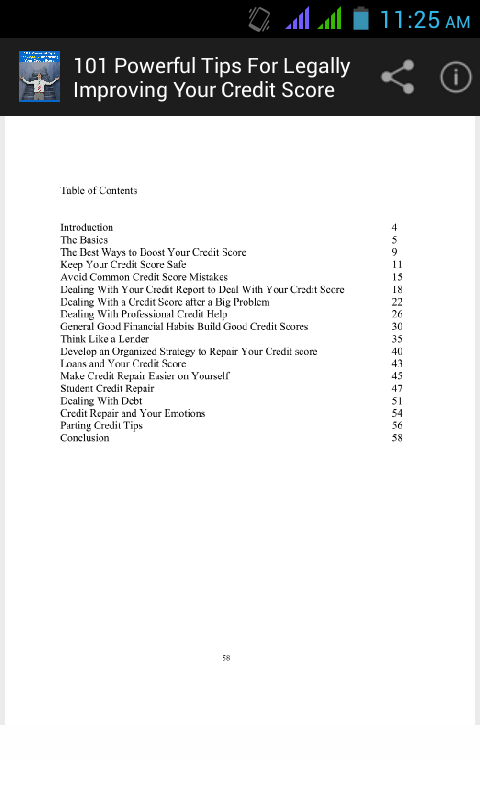 If you are planning to use credit or get a loan someday but unfortunately have low credit score, it's important that you first start working on rasing your credit score and target to reach an average credit score chart because it takes time, good behavior and patience to get back in the same healthy financial position you earlier used to have. Our app is an all in one solution for all your credit score related needs. It will not only help know the legal ways to improve credit score but also let you understand the real advanatges of having a good score. Neverthless, numerous people mess up their credit scores every day due to their own silly mistakes and then keep searching for ways to recover back to a healthy score status. 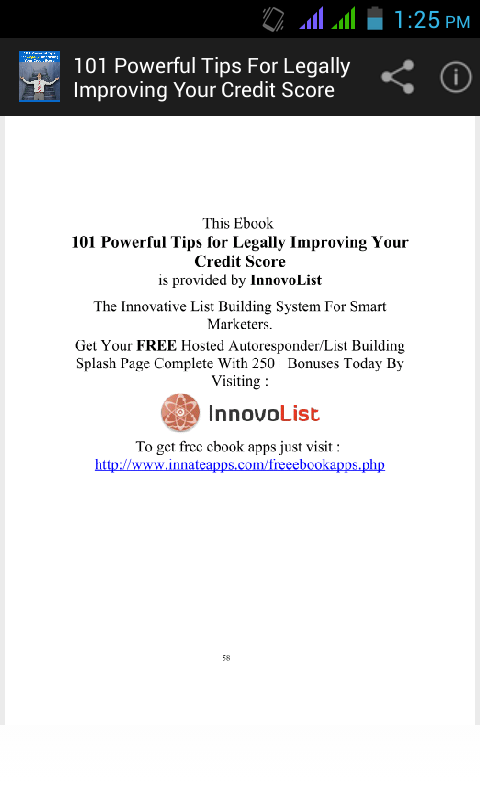 That's the reason, why this app has been compiled witha whopping 101 powerful tips for legally improving the credit score. If you are looking for ways on how to improve credit score, simply install this app on your phone to see favourable results soon. The truth is, of you have a bank account and bills, then you have a credit score, and your credit score matters more than you might think. Your credit score may be called many things, including a credit risk rating, a FICO score, a credit rating, a FICO rating, or a credit risk score. All these terms refer to the same thing: the three-digit number that lets lenders get an idea of how likely you are to repay your bills. Every time you apply for credit, apply for a job that requires you to handle money, or even apply for some more exclusive types of apartment living, your credit score is checked.